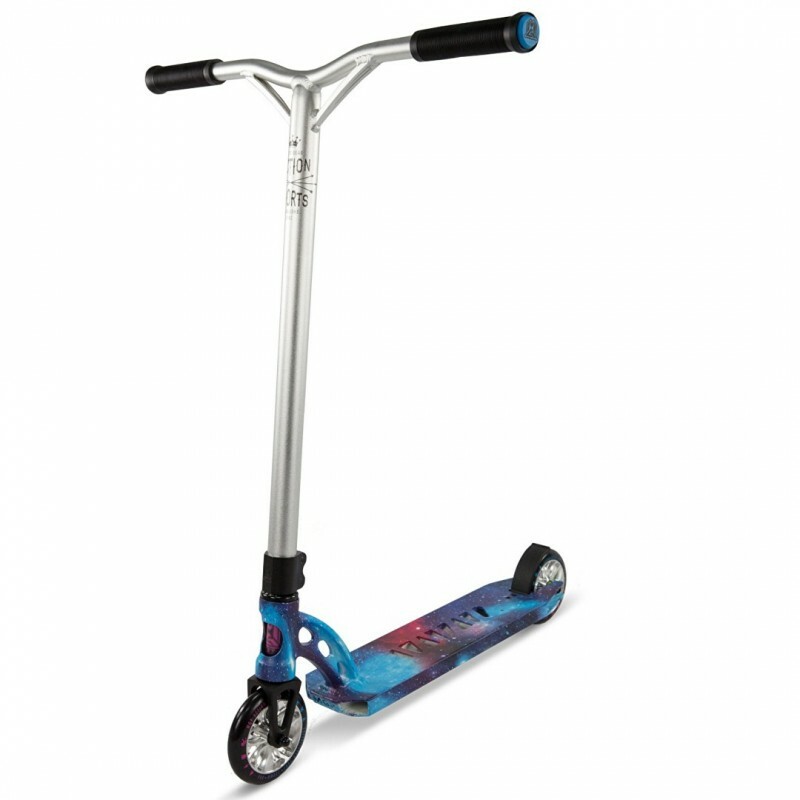 The Madd Gear MGP VX7 Limited Edition Extreme Infinite Stunt Scooter is designed for the pro rider that wants a top level scooter setup, with light bars, and all the top level riding parts to get seriously into the sport or develop their skills for the top level as a rider. We will price match any retailer. Brand new for 2017, here we have the VX7 Extreme Stunt Scooter and it looks better than ever before! Featuring an insanely high specification alongside a wide range of limited edition colours, there's something for everyone! Madd Gear pushed the graphic design boundaries with previous Extreme scooters which featured the hydro-wrap graphic application process, and the MGP VX7 Extreme range is no different.